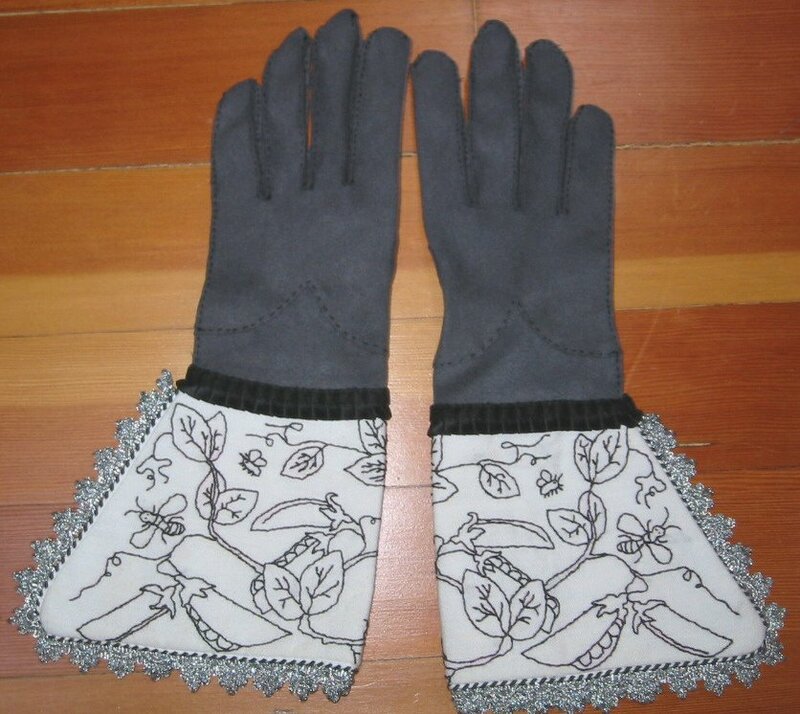 I used the duello glove pattern from your site to make a pair of Elizabethan gloves, and was very happy with it. Thank you for the public service of the glove.org site. Trying to research gloves has been one of my most frustrating projects, and your site has been a big help. See who is linked to us! Contents copyright © 1986-2019. No funds exchanged hands for the content on these pages, no financial gain is being made, no content or image on this site is at anytime for sale or resale by the Webmaster. On reprinting articles and art work from this publication, please contact the Webmaster, who will assist you in contacting the original creator of the piece. Please respect the legal rights of these contributors.